The two upcoming board games will be: Rick and Morty: Anatomy Park Game and Rick and Morty: Close Rick-Counters of the Rick Kind Deck-Building Game. 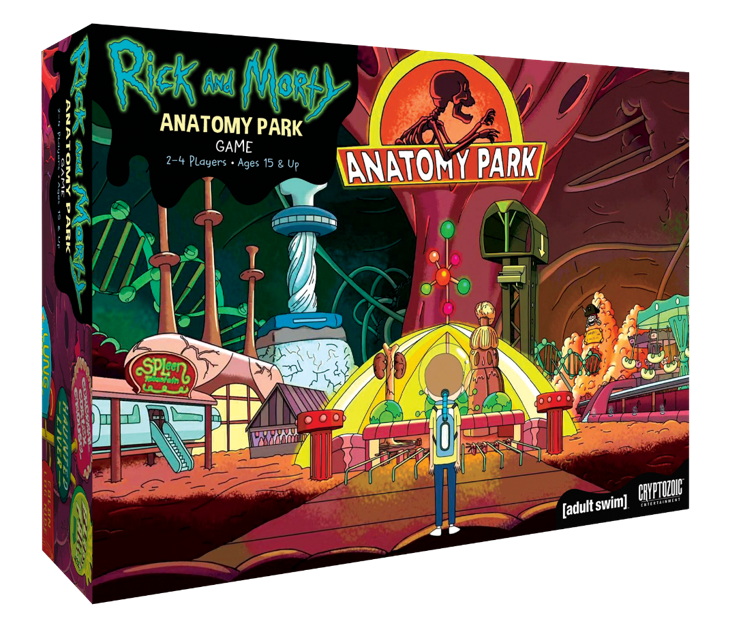 Rick and Morty: Anatomy Park is a strategy game that puts 2-4 players into Anatomy Park. After choosing from six characters, players must design the best park possible by placing tiles while simultaneously avoiding and fighting diseases. There are multiple game-ending conditions affecting players and their final scores in various ways. Cartoon Network Enterprises (CNE) is responsible for building consumer products and merchandising programs for a wide range of brands by securing and supporting long-term licensing partnerships across all categories. ⇐Previous Cryptozoic and Capcom Announces New Street Fighter CollectiblesNext⇒ Los Cabos Cantina Grill Celebrates 10 Years in Lake Forest!